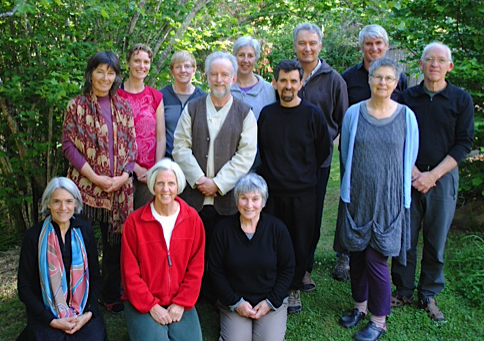 The Satipaṭṭhāna Dharma Gathering was established in 2012 by Patrick Kearney at the request of BMIMC to explore key issues in our direction and position as a Buddhist centre. This annual event brings together lay teachers, senior students, committee members, staff and volunteers in a five day intensive residential experience combining silent practice, sutta study, discussion groups and workshops. Patrick’s aim in the first gathering was (in his words) ‘to bring together senior students of satipaṭṭhāna who want to develop their understanding of its theory and practice, to help them in their own practice or, if this is their dharma, the practice of their students’. Initially, there was more focus on the development of dhamma teaching and the potential role BMIMC plays in this. The Gathering over several years has focussed an understanding of satipaṭṭhāna as a core teaching for our tradition, but the aim has broadened to include reflection on where we stand in relation to contemporary Buddhism and its many manifestations including secular mindfulness training. We have explored more broadly how we see BMIMC, its teaching role, its community and future directions. From this page, it is possible to read reports of the annual gatherings and access selected discussion papers from each of the meetings. BMIMC is grateful to Patrick Kearney for his continued leadership of this significant ant activity. See Patrick’s website for further information about his teaching. The event will be next held in late 2017.